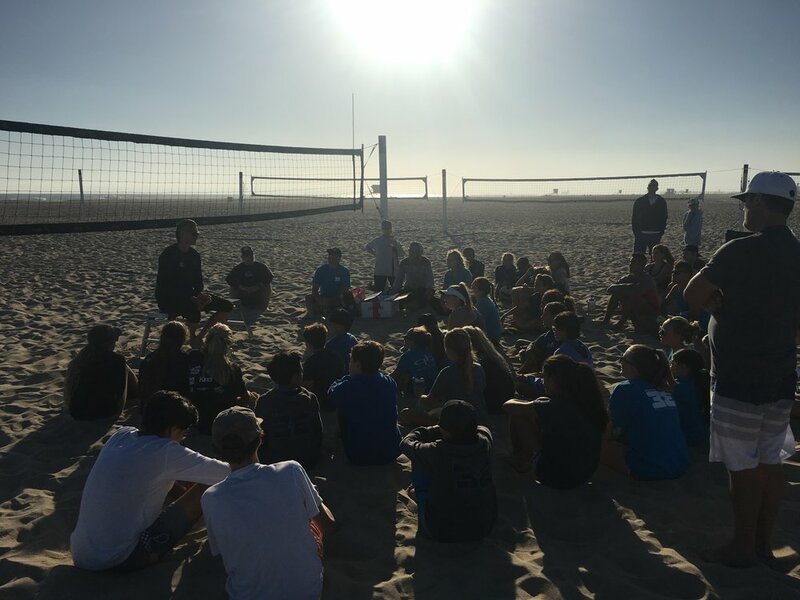 Our next Casey Patterson Camp is May 1st, 2019 at 5pm-7pm at our beach facility at Magnolia Street at Huntington State Beach. 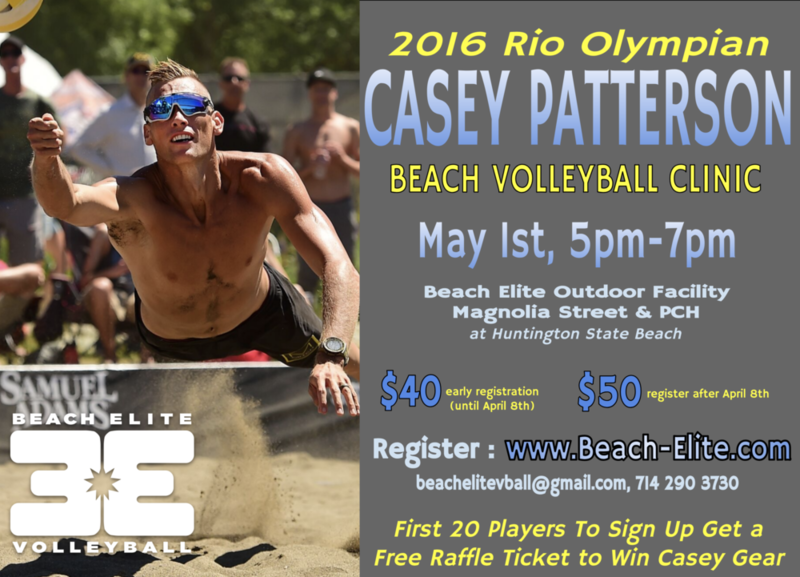 This is an amazing opportunity to learn from one of the top beach volleyball players in the world! This is for all ages both young and old. All skill levels welcome! EARLY BIRD SIGN UP is $40! The first 20 players to sign up will automatically be entered into a raffle for some sick Casey signed gear including: FIVB Jerseys, Olympic Oakley Shades, Rockwell Watches, AVP Bag, Volleyballs, Legends Socks, etc. Raffle tickets will be for sale at the event for $5 for all others. Casey is a professional American beach volleyball player and a living legend that continues to grow in popularity world wide. Casey and his former teammate, Jake Gibb, were in the 2016 Rio Olympic Games and both were named the USAV Team of the Year as well as AVP Team of the Year for 2013. Casey himself was named AVP Best Offensive Player for 2013. He has had a total of fifteen 1st-place finishes during his professional career.